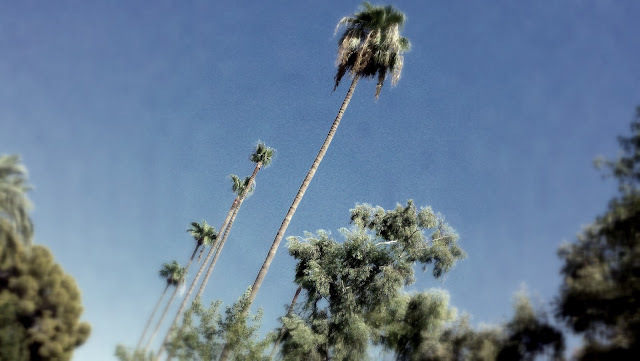 In the desert during this time of year trees are unappreciated as they regroup their bark and leaves scorched from the searing heat of sizzling summer. We tend to forget their organic presence and the essential utility they provide us the rest of the year. For trees it is a period of reclamation as they soak up the water needed for the next round of triple digit temperatures. Then in the heat we will again fully appreciate any respite of shade they offer. It may only be cylindrical manhole size dots that are the shade of the palms along a sidewalk; even so they offer a spot to hop from one to another to avoid the hot beam of sun. 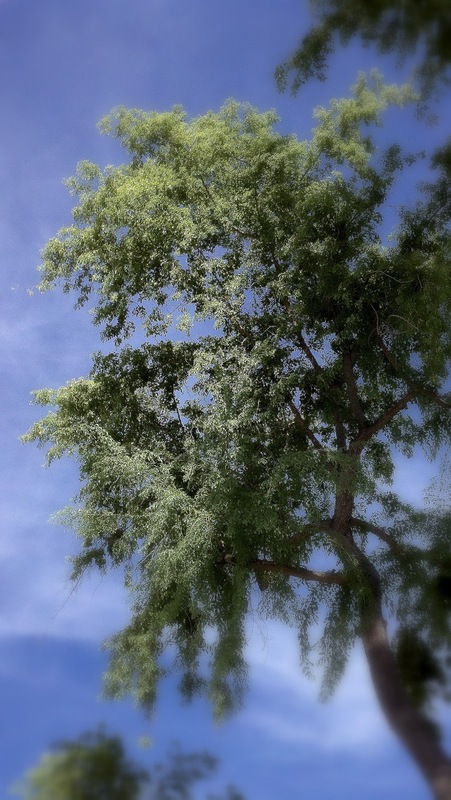 Most welcome are the leafy trees that provide a wide umbrella of shade, whether filtered through a palo verde or the dark cast shade of eucalyptus or cottonwood. Shade is an essential part of desert oasis living and as in everything in life is far better when infused from a natural source like trees. During winter take care of your trees remembering they make your human existence more bearable during summer.